Elsa is our literary guru and takes a special interest in the writing and poetry elements of the project. An award-winning travel writer, Elsa has sailed from Samoa to Fiji, unicycled across England, carried out conservation work in the jungles of Borneo, and spent 51 days rowing alone on the Pacific Ocean. 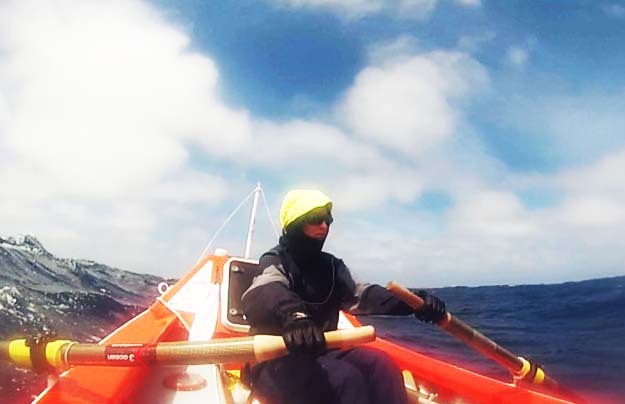 Whilst rowing on the Pacific she worked as a citizen scientist in partnership with Adventure Scientists, taking samples of seawater for research into microplastics. She has delivered countless talks and workshops across three continents, and has appeared on BBC Radio 4 Woman’s Hour. Elsa is an Oxford graduate and is currently working towards a PhD in the poetry of Coleridge, Tennyson and Hardy at the University of Bristol. Alongside this she writes poetry and swims outdoors all year round. In 2015 she co-authored the award-winning Wild Guide to Southern and Eastern England, and is enjoying focusing her attention on the wild land and seascapes of the UK.